The event will take place from 9 a.m. to noon, come rain or shine. Miami-Dade single-family or duplex homeowners are eligible to receive 2 FREE trees per year, even if they have adopted trees in past years. Single-family homeowners have adopted more than 184,000 trees since the program’s inception in 2001. Tree species, event dates and times are subject to change. 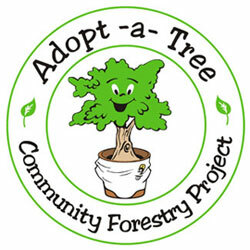 Tree quantities are limited and will be given away on a first come, first served basis. Trees reduce air-conditioning costs by providing shade, while a good landscape improves a home’s appearance. Trees also help increase a property’s real estate value and reduce flooding by absorbing excess rain water. Trees also help to remove tons of carbon dioxide from the air every year. Carbon dioxide is considered to be a factor affecting climate change. For more information, email adoptatree@miamidade.gov or call 305-372-6784.